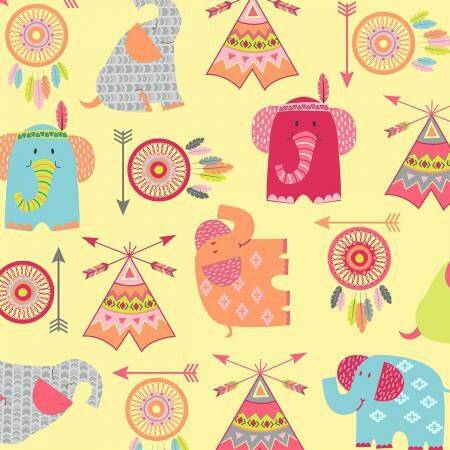 Boho Baby Collection is a modern group of fabrics for baby's room. 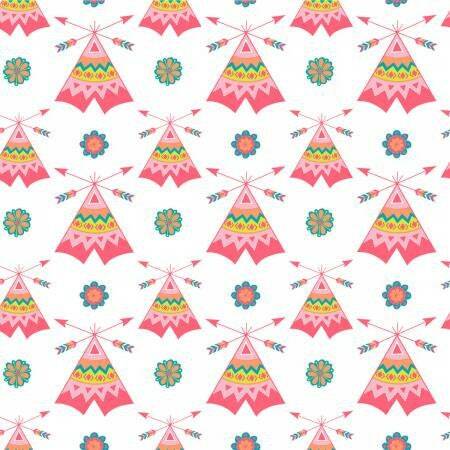 This fabric is sweet pink, white, turquoise and coral teepess. The pink group also includes panel with Elephants. Teepee and DreamCatchers and the words, Dream, Love, Be Brave and Explore. 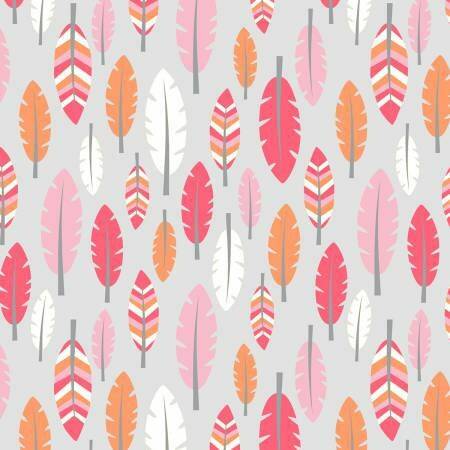 Coordinates include pink, coral and gray feathers and pink tossed animals on yellow background. Bright pinks, yellow, corals make an adorable grouping for your little princess.